It wasn’t long ago that the handful of electric cars in existence were little more than novelties suitable as a second (or third or fourth) car. One major problem was range. You couldn’t drive one without living in constant fear that you’d run out of juice. But as battery technology has improved, carmakers are offering electric vehicles with increased range. That has moved EVs out of the novelty category and into the practical lane. Unless your family feels the need to drive cross-country on a regular basis, any one of the cars on this list of the 10 best electric cars for families will suit your requirements well. Today’s EVs are practical family cars. Here’s our list of the 10 Best Electric Family Cars. 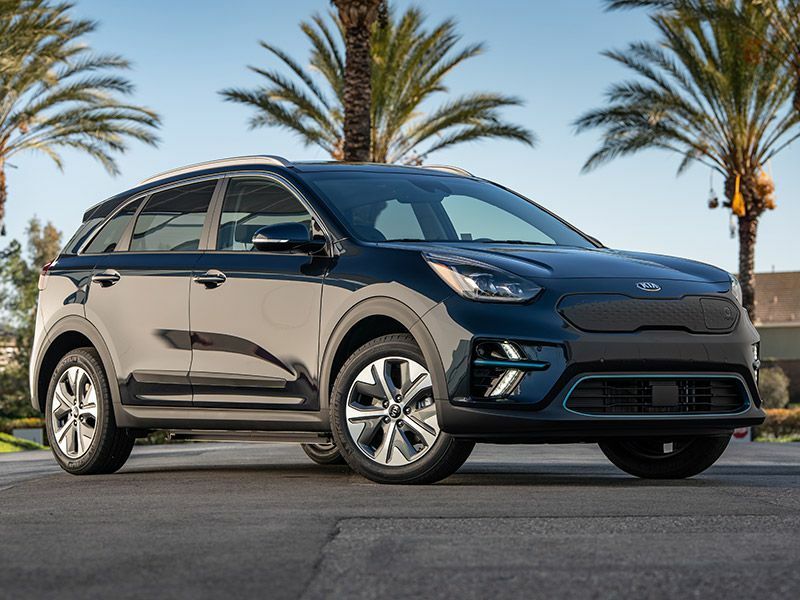 The 2019 Kia Niro EV is one of the most versatile of the new EV offerings. The Niro can haul cargo like a small SUV, and at the same time it offers the environmental advantages of an all-electric powertrain - and it does so at a price that won’t put your family in the poorhouse. The Niro EV offers 201 hp, and the liquid-cooled 64kWh lithium ion polymer battery is housed under the floor of the vehicle for minimal passenger-space intrusion. Range is impressive at an EPA-estimated 239 miles on a single charge. 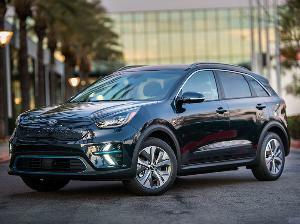 With an interior that would seem at home in any well-designed, mid-priced car, the Kia Niro EV is practical and usable for a growing family. With the e-Golf, Volkswagen is hoping to stake out the sporty, fun-to-drive subset of the EV market. 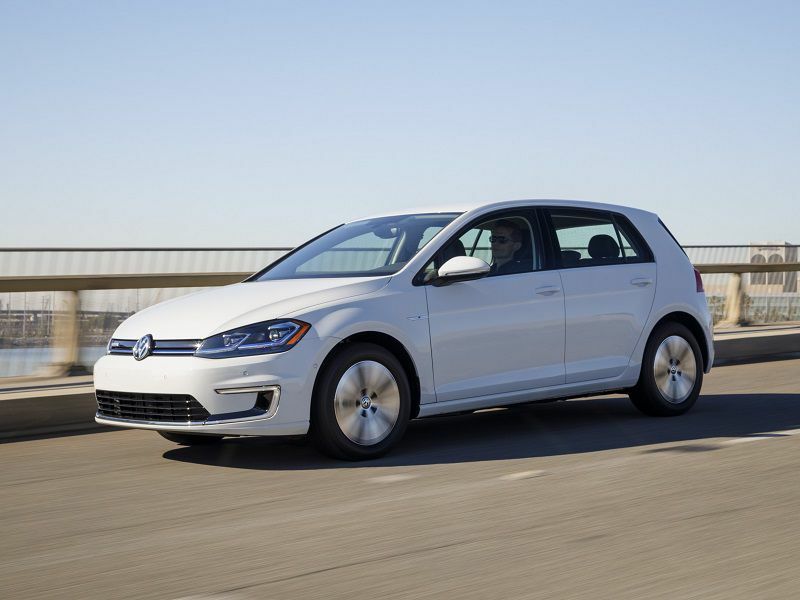 And while to some that might seem to be a stretch, the fact is the e-Golf is fun to drive, retaining much of the feel of its gasoline-fueled sister ship. VW says it wants to forever end the idea that compact EVs must be bland and focused only on efficiency, and we say “amen” to that. The e-Golf’s power output won’t knock your socks off at 134 hp, but the nearly instant delivery of its stout 214 lb-ft of torque gives the e-Golf very pleasant accelerative abilities. 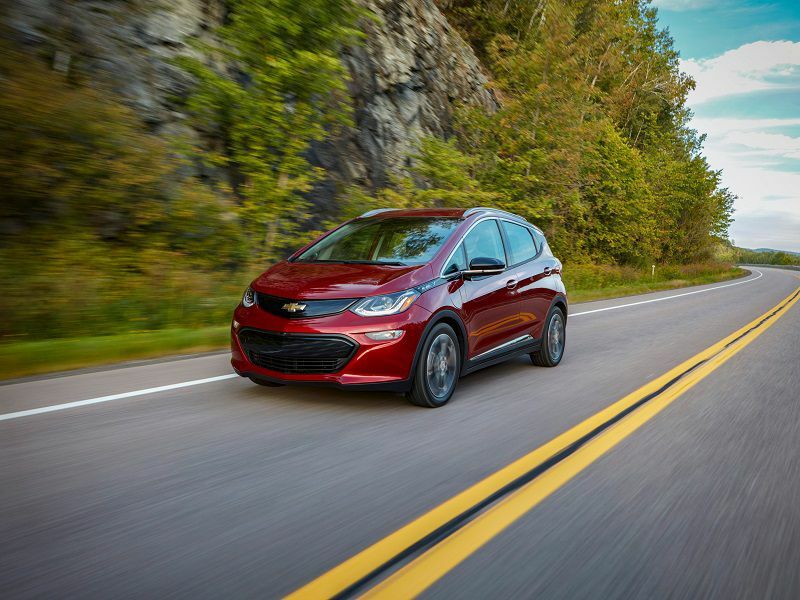 The $32,000 hatchback also is equipped with a bevy of driver assistance features, and delivers an EPA-estimated total range of 125 miles on a single charge. 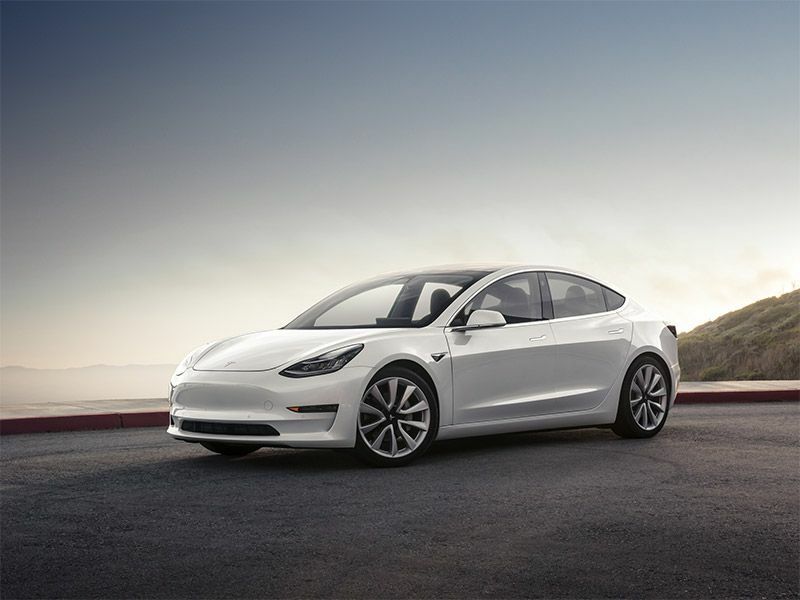 The Tesla Model 3 created sensation before launch as hundreds of thousands signed up to buy it sight unseen, and while a version with a low-price was slow to arrive in the marketplace, the Model 3 has zipped to the top of the EV class. Now, with a $36,000 no-frills edition finally available, sales likely will see another spike. Another plus — the Model 3 delivers Model S-like tech at a much lower price. Driving range is an important EV parameter, and the Model 3 scores well there, too. Standard range is 220 miles on a full charge, but options let you up the ante to 325 miles. In light of Tesla's extensive fast-charge Supercharger network, cross-country driving in the Model 3 becomes something you can easily contemplate. 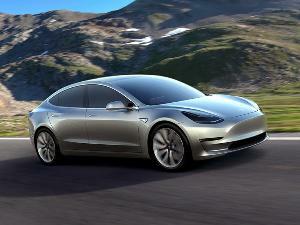 And if your family wants to be cool, well then, what’s cooler than a Tesla? The 2019 LEAF is a feature-filled, fun-to-drive sedan very appropriate for a small family. Among the many advanced features is the ability to accelerate and stop without ever touching the brake pedal. 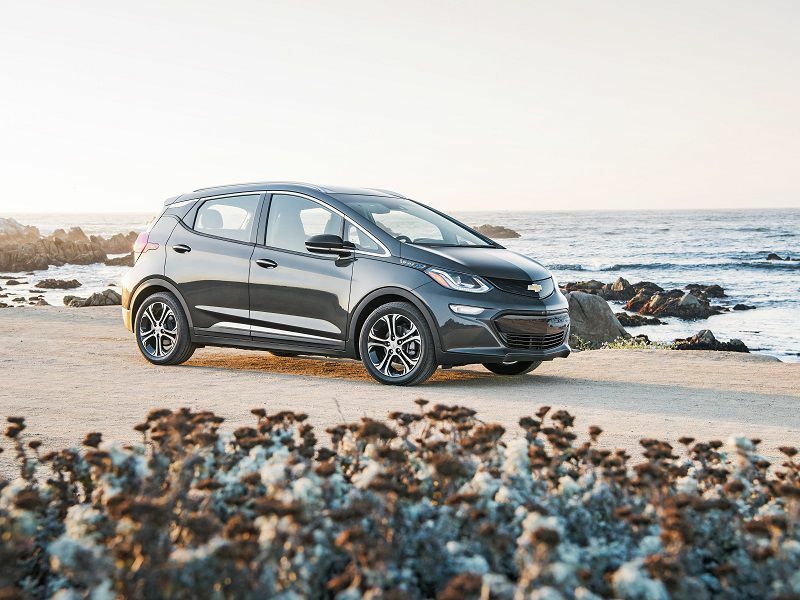 Looking at the specs of some of the other cars on this list, you might question why the LEAF offers 150 miles of range on a full charge of its 40-kilowatt-hour lithium-ion battery pack when others feature more. Part of the answer is price. 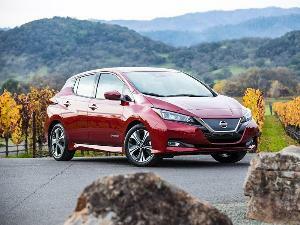 By not going overboard with a super-expensive battery, Nissan is able to keep the suggested list price under $35,000. If your family can recharge a car every night, the LEAF is a very practical choice. 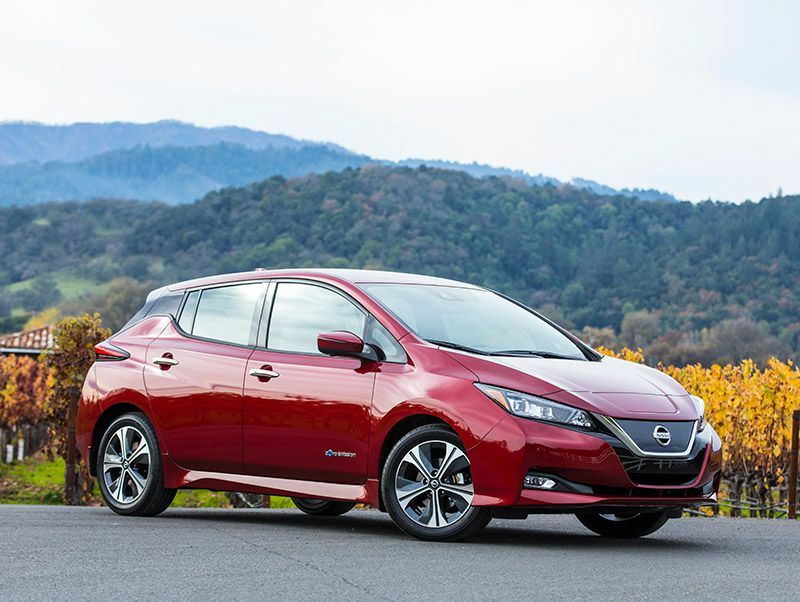 The EPA says you will save $3,250 in fuel over five years by choosing the LEAF instead of a gasoline-powered competitor. A pure battery-electric vehicle isn’t right for every family, but the Chevrolet Bolt EV is an electric vehicle many small families will find very appealing. First off, of course, is the fact that it offers no-emission driving in a fun-to-drive package that will accommodate a four-person family well. Its 238-mile range on a charge means the Bolt EV can be an utterly practical daily driver. Restoring a full charge can be done overnight using a 240-volt charging station. Standard features include alloy wheels, xenon headlights, remote entry, rear camera, and split/folding rear seats. The electric motor delivers 200 hp and abundant low-end torque for nearly instant acceleration. 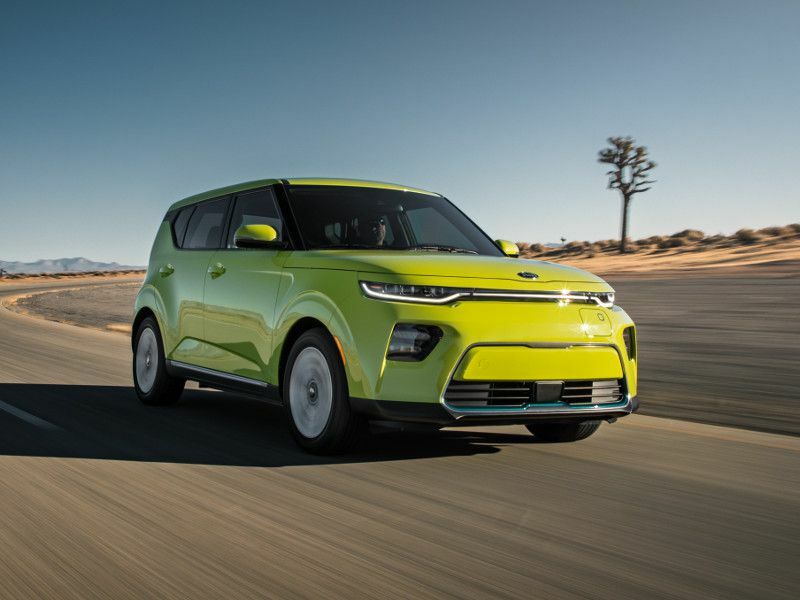 One of the first 2020 models, the Kia Soul EV combines the versatility of the Soul hatchback with an emission-free electric drivetrain. With a new liquid-cooled lithium-ion polymer 64 kWh battery, the renewed Soul EV is expected to require much less daily charging than the previous version. The 2020 Soul EV features Combined Charging System DC fast-charge as standard equipment for quick battery charges. Also quick is the car itself. The electric motor offers 201 hp and 291 lb-ft of torque, and that should be enough to make the Soul EV an exciting family-hauler. The “Smart Regen System” bases the regenerative braking level on the progress of a vehicle preceding the Soul EV down the highway, creating smoother coast-down driving. Like the Honda Clarity, the five-passenger Hyundai Ioniq sedan is offered in three variations — hybrid, plug-in hybrid, and pure electric vehicle. Some might call the Ioniq Electric’s acceleration a bit leisurely. Its electric motor produces just 118 hp. But it also delivers a satisfying 218 lb-ft of maximum torque, which aids drivability. 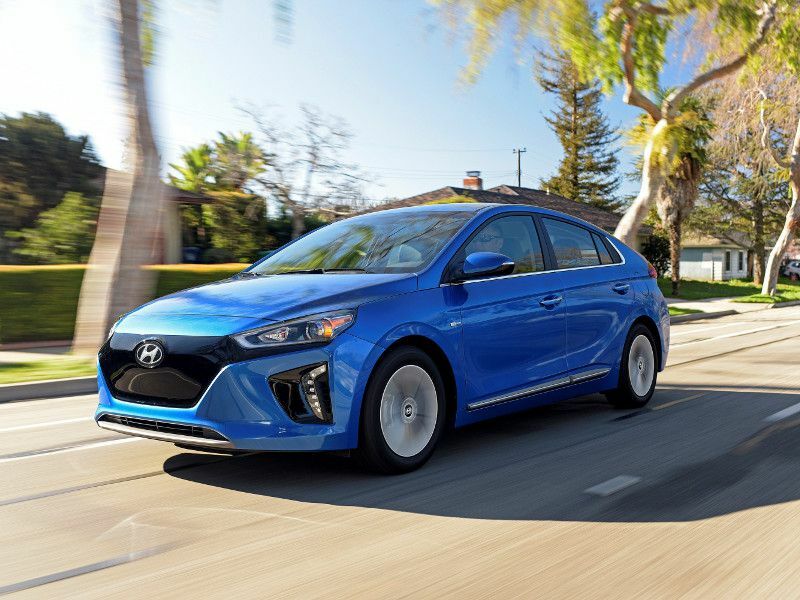 According to the EPA, the Ioniq Electric has an estimated 136 MPGe rating. Expected range on a charge with the 28.0 kWh lithium-ion polymer battery is a creditable 124 miles. 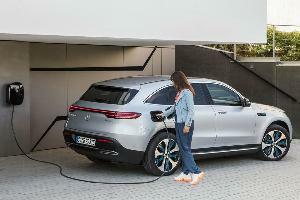 Unlike other Ioniqs, the Ioniq Electric has a torsion-beam rear axle, which gives more space for the batteries, but any negative tradeoff in handling is negligible in normal driving. The Honda Clarity EV is one of three Clarity models. Each has its fine points, but the Clarity EV’s calling card is the fact that it is a zero-emission vehicle that doesn’t require an exotic fuel — or any fuel, for that matter. Just plug it in overnight and for most applications, you’ll be good to go. 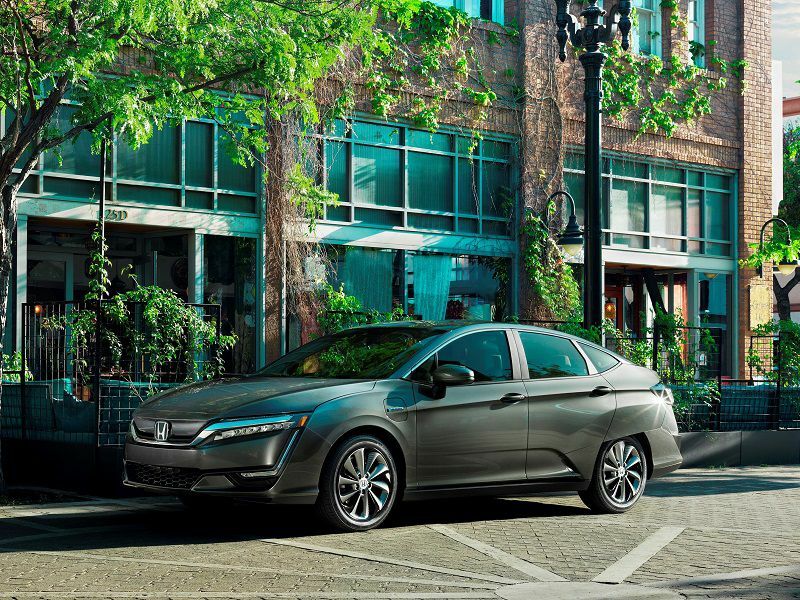 In many ways the Clarity mimics the uber-popular Honda Accord, so if your family requires a bit of extra space and comfort, the Clarity is the odds-on choice. 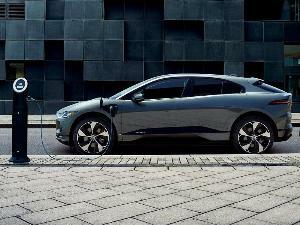 Power comes from a 161-hp electric motor producing 221 lb-ft of torque, so the Clarity is a reasonable performer. The downside is a comparatively small-output battery pack, which endows the Clarity EV with just 89 miles of range on a charge. Still, for most day-to-day family driving situations, the Clarity is up to the task. 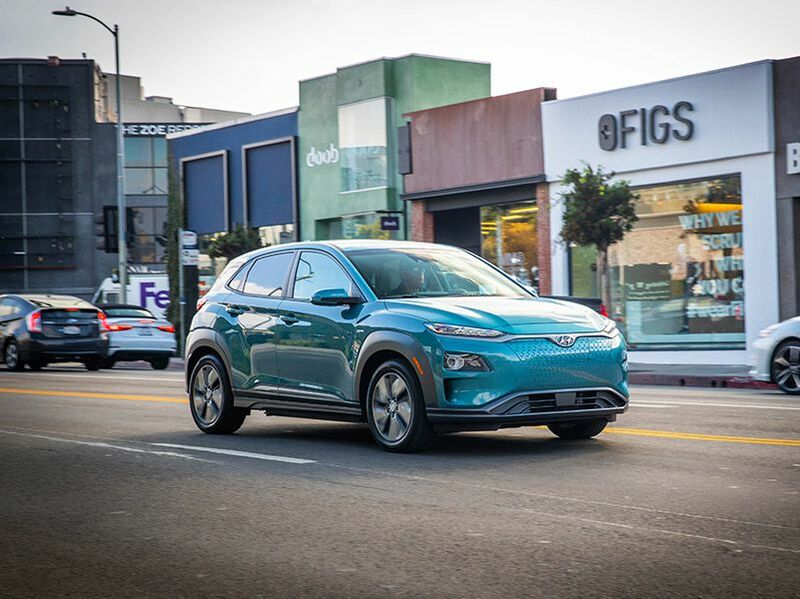 The all-electric version of the Hyundai Kona crossover has a lot to recommend it. A bit of a segment-buster, you could describe it as a station wagon or a crossover, or even a sedan. It today’s market, its range-before-recharge is longer than any other EV, with the exception of the more expensive Teslas. EPA certifies its 258-mile estimated range, and that is but one of its positive features. The Kona's ride and handling are more performance-oriented than you’d guess, and its acceleration is marvelously linear. At the same time, in overall creature comforts and utility, the Kona EV acts just like a conventionally powered family car. 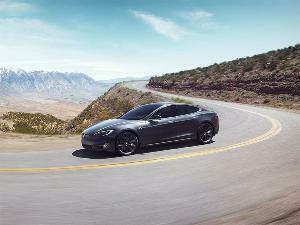 Its electric powerplant generates 201 hp and a meaty 291 lb-ft of family-toting torque. Okay, the FIAT 500e isn’t the right vehicle for everyone, but if you have a small family and a reasonably small bank account, a 500e can get you into the electric-car ballpark in a very stylish and cost-effective way. 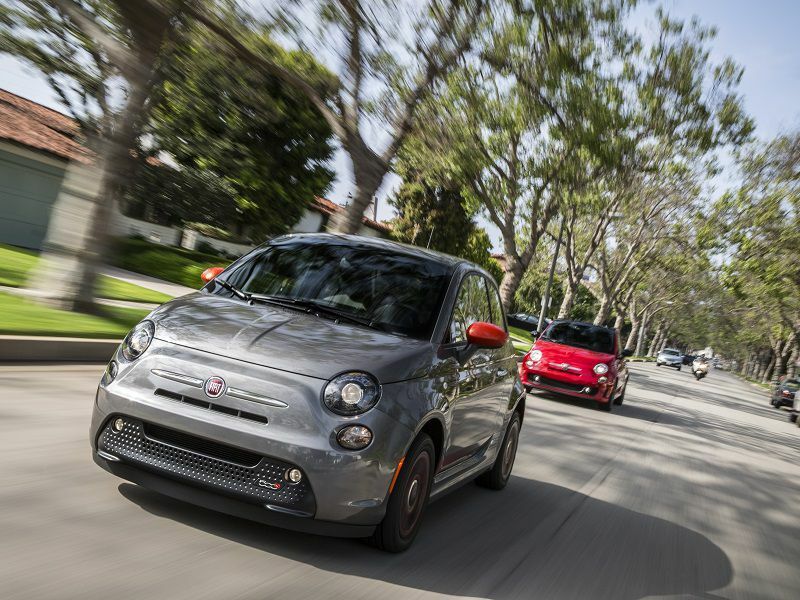 Having driven a variety of Fiat 500s through the years, we’d say the 500e is one of the most engaging variants. And if exclusivity is your family’s thing, it only is for sale in California and Oregon. Its liquid-heated/cooled battery-electric powertrain whirs out 111 hp, and if you’re not a fan of regenerative brake feel — and who is? — the 2019 FIAT 500e is designed to act like a gasoline-powered Cinquecento, while still regenerating electricity. It completely recharges in less than four hours with a 6.6 kW on-board charging module connected to a 220-volt source.